Mississippi doctors are pushing residents to get checked for head and neck cancer. MPB's Jeffrey Hess reports that the seldom talked about cancer kills roughly half the people who contract it. About 50-thousand people a year develop cancer in their neck, mouth or head making it the eighth most common. Despite that, Mississippi Head and Neck surgeon Lana Jackson says it is often overshadowed by more well-known and publized cancers. "Breast cancer is pretty promoted from a stand point of getting screend for that and prostate cancer is in the public eye. But head/neck cancer is not a cancer most consider,"
Jackson thinks that lack of awareness makes the cancer more deadly because it is often not caught until it is very developed. Jackson was part of a team of doctors offering free screenings for head and neck cancer at the Jackson Medical mall yesterday. Nancy Perry stopped by for a screening after noticing some warning signs. Smoking and drinking which are two of the leading contributing factors to head and neck cancer. Perry does neither and feels confident that she doesn't have cancer, even though the doctors asked to monitor her. "They gave me some good advice and some suggestions for some products to help me. And to come back and see the physician in about three months," Perry said. 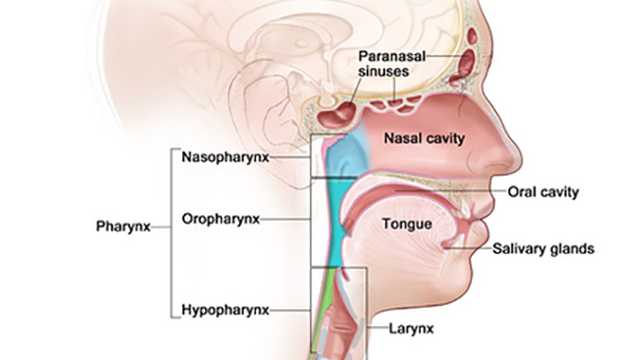 Typical symptoms of head and neck cancers include a lump or sore that does not heal, a sore throat that does not go away, difficulty swallowing, and a change or hoarseness in the voice.